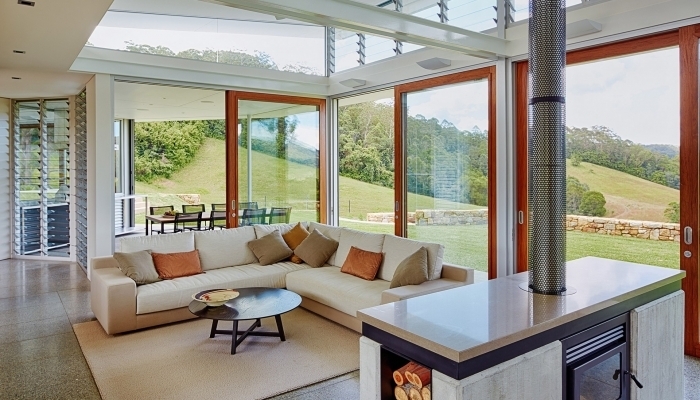 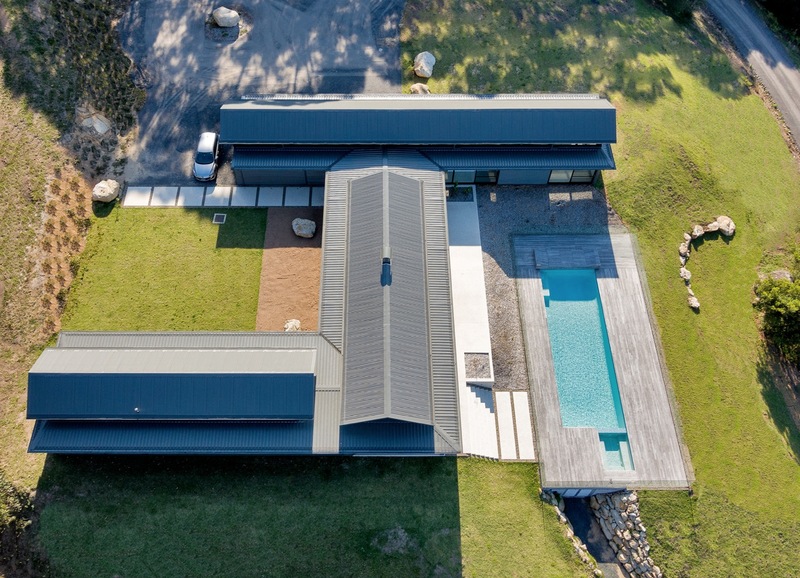 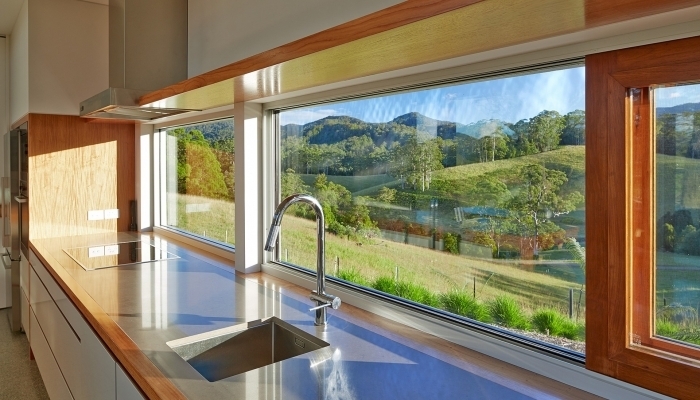 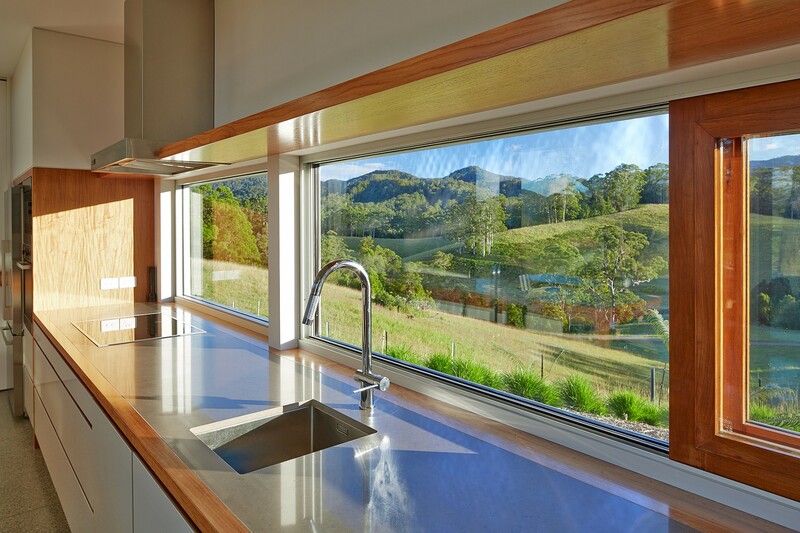 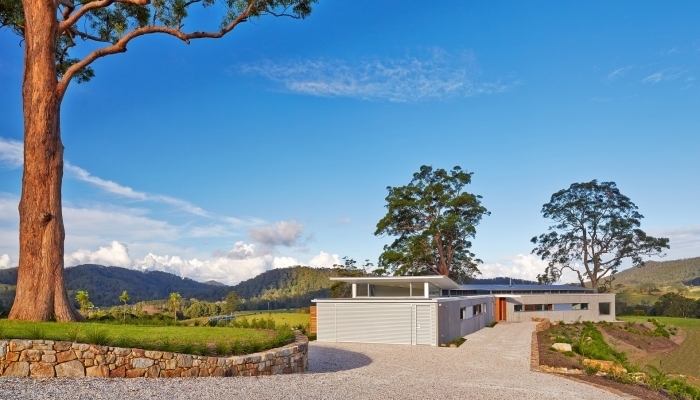 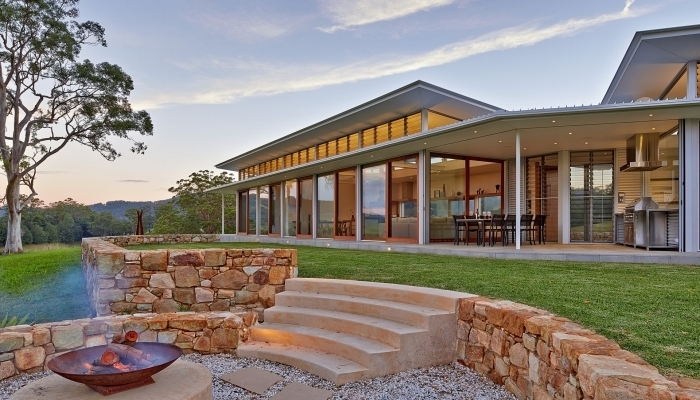 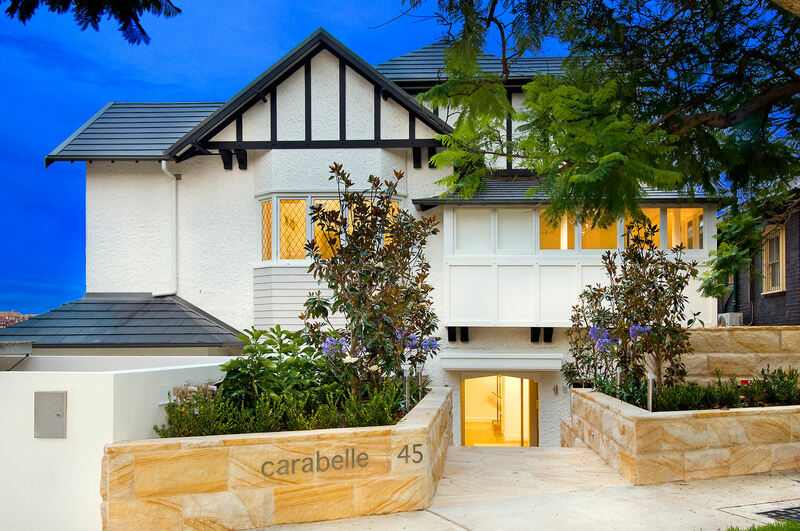 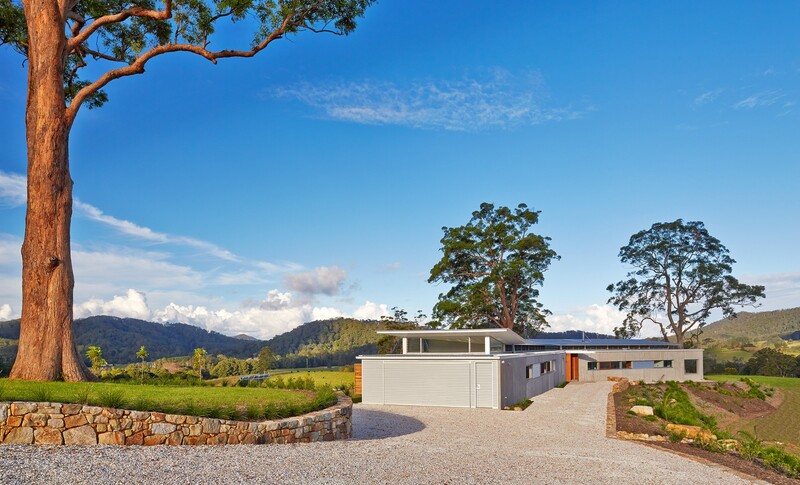 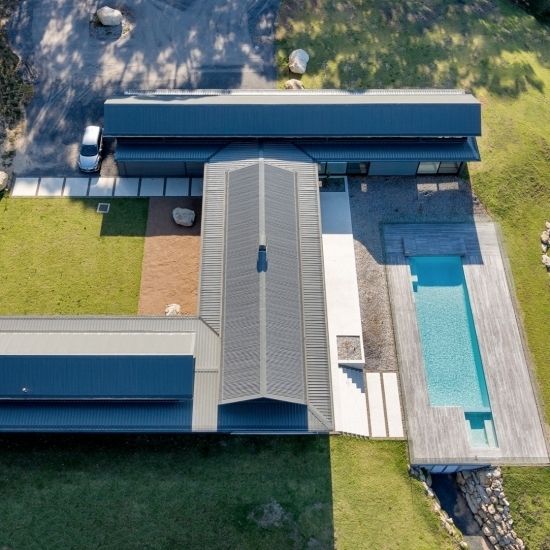 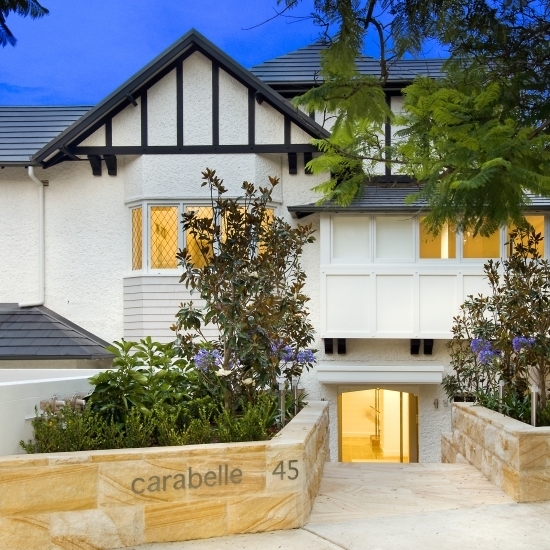 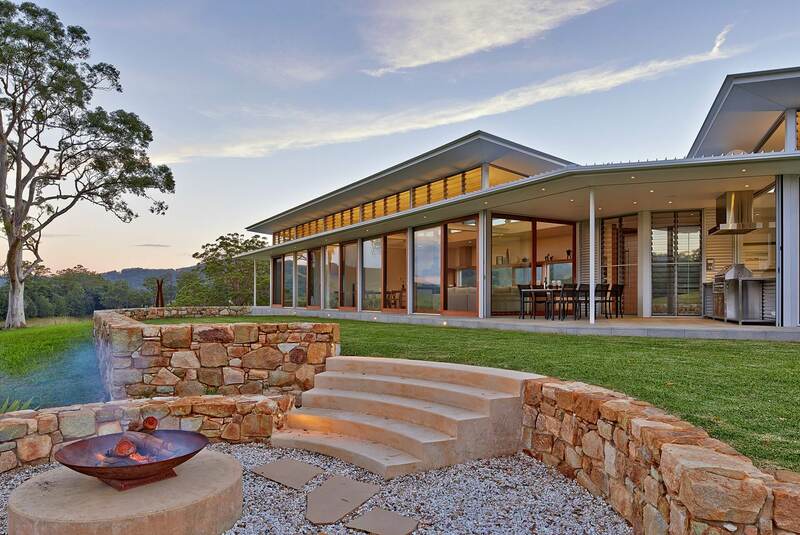 This new home is located in the Upper Orara valley in the sub-tropical hinterland of Coffs Harbour. 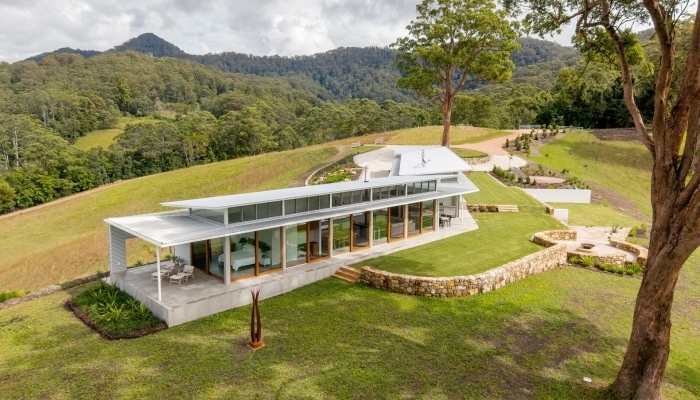 The house sits high on a ridge with wide, open views of the surrounding landscape in all directions. 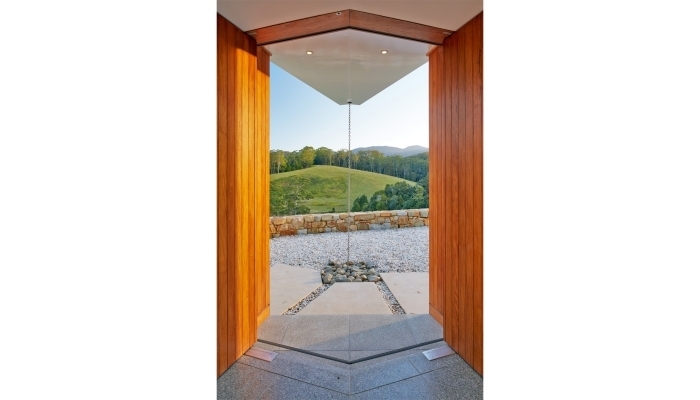 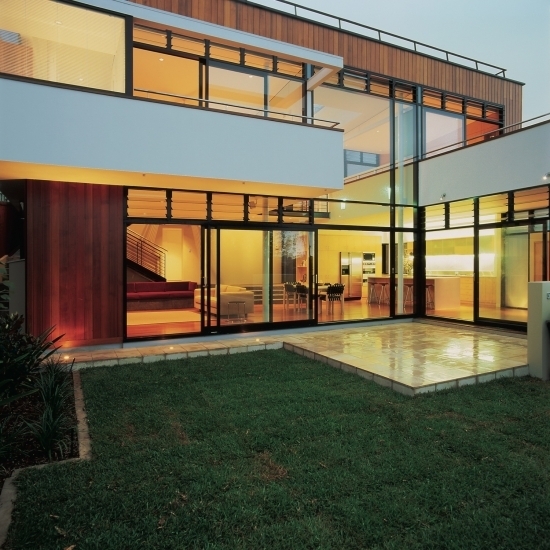 The house has been designed as two wings with a central entrance, following the natural shape of the ridgeline. 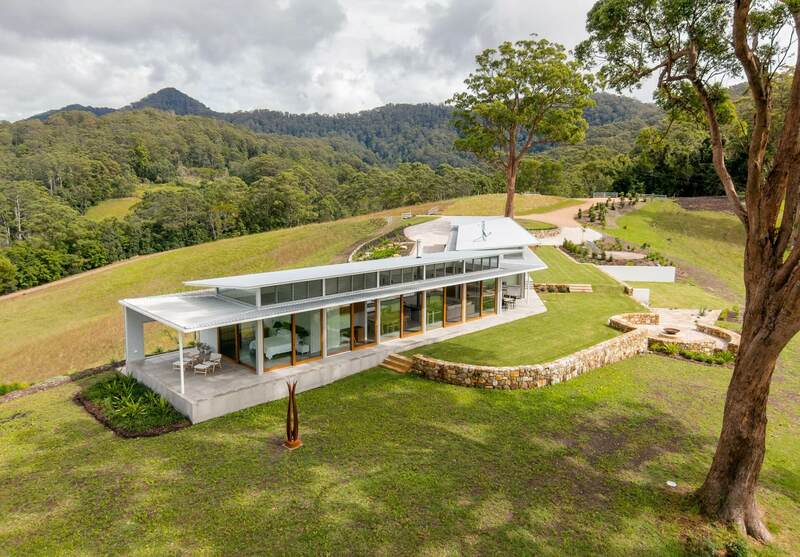 Large angophoras book-end the house to the east and west. 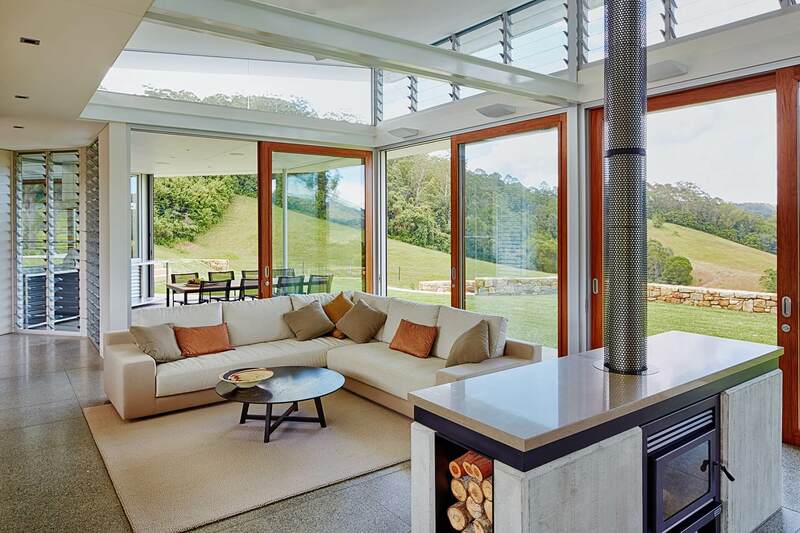 Bedrooms and living rooms open onto a long flat lawn with northern aspect. 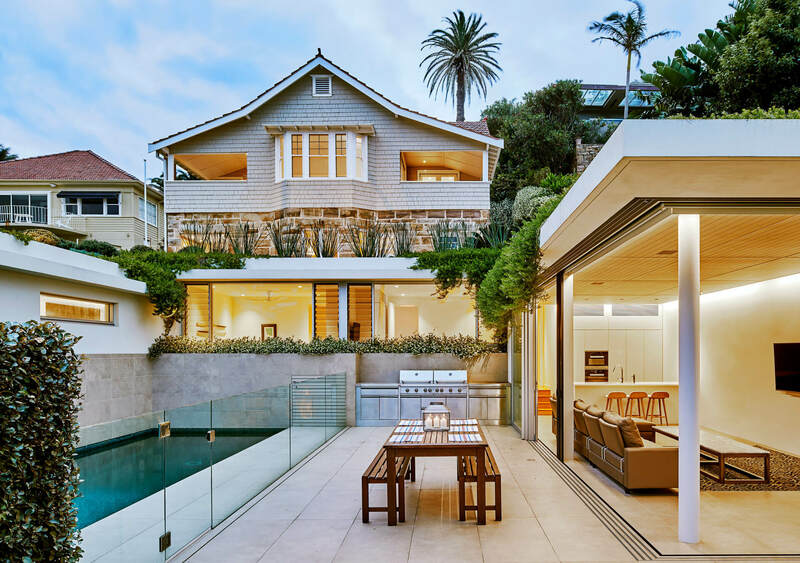 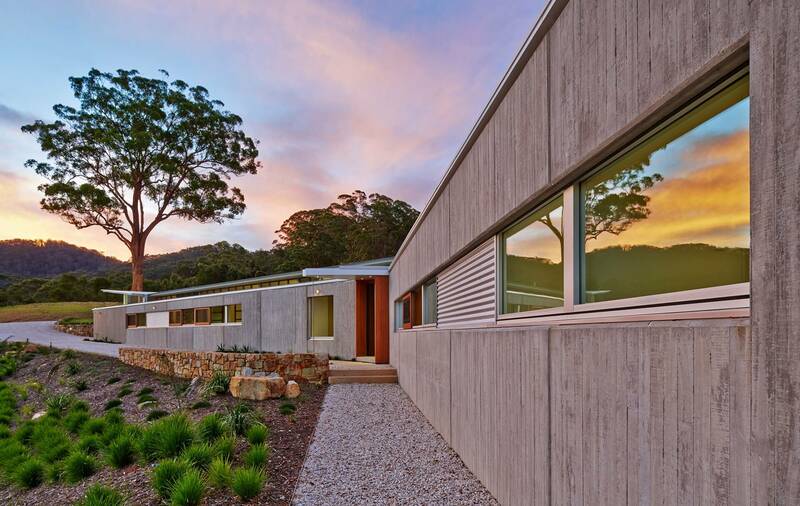 The solid pre-cast concrete wall protects from cold southern winds and anchors the house to the hill-side, the northern facade is glazed with timber framed sliding glass doors and high level louvres to facilitate natural ventilation. Materials were selected to reflect and harmonise with the colours and textures of the natural vegetation. 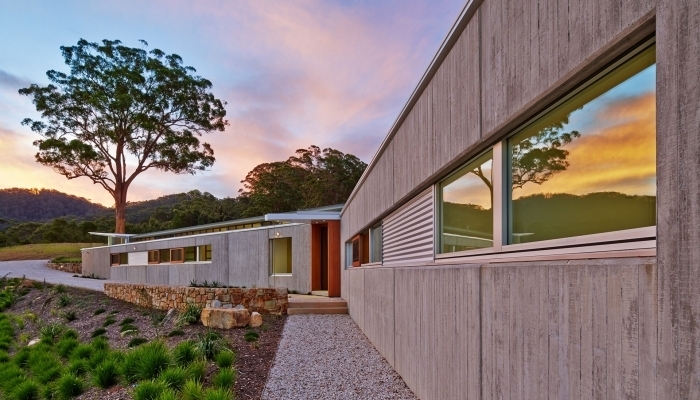 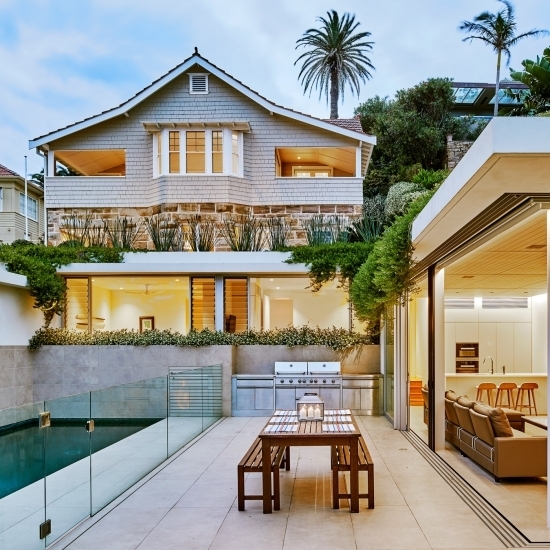 The concrete slab has hydronic heating throughout and is finished with terrazzo tiles. 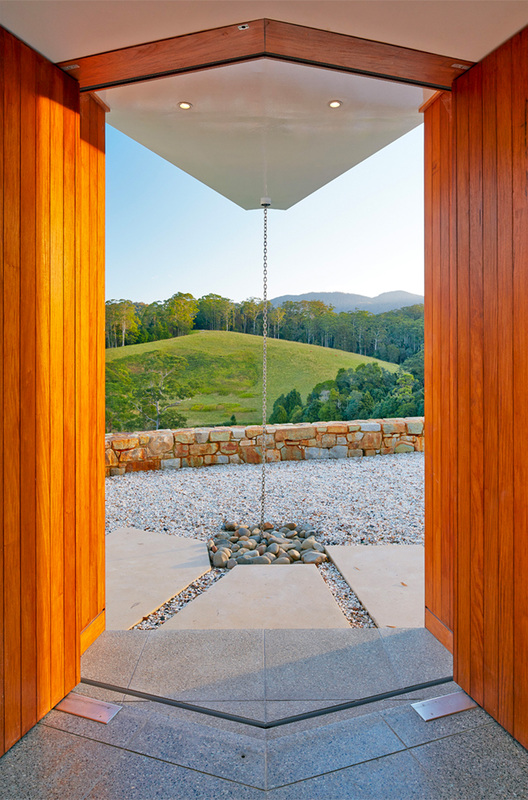 The landscape design completes the house, with the use of dry-stone walls of Valla Granite, to echo the rusty red colour of the timber and reinforce the contours and hill-side.